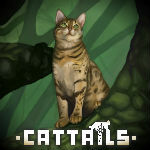 A suggestion about marriage | Cattails: Become a Cat! Or the guards, Jag is super sweet and I wouldn't mind marrying him either. Some were Kickstarter backers and you needed to pay them a certain amount to have your NPC marriable. For that reason, some cat may never be able to marry.